The height of luxury in the heart of Toronto. Set atop the ultra-modern 300 Front Street West. A luxury collection of signature suites exude sophistication – for a life beyond extraordinary. 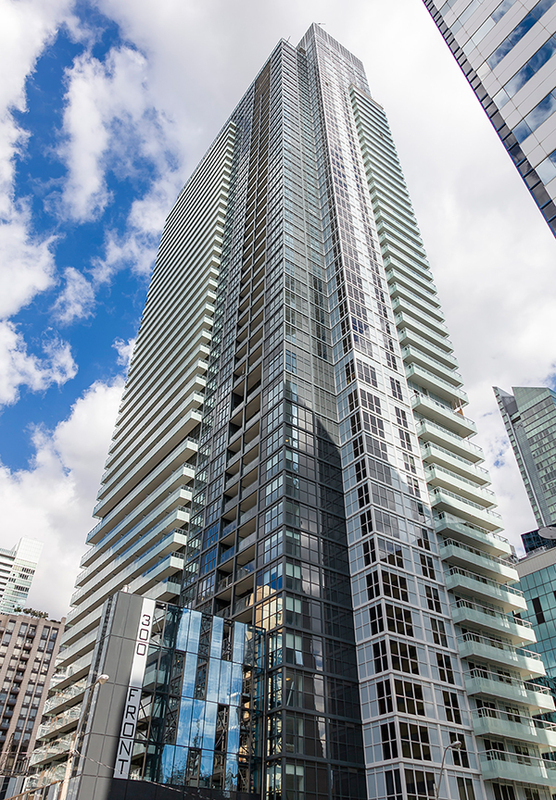 Experience the pinnacle of condo luxury. For those who treasure life at its finest, Tridel introduces a rare collection of condo suites in Toronto’s landmark downtown Entertainment District. Beginning on the 44th floor and soaring up to the top 49th floor, these signature residences offer you the most breathtaking views while you enjoy life in absolute comfort and the height of style. Enjoy a five-star welcome wherever you roam at 300 Front Street West. From cordial concierge service and an elite hotel-styled lobby to chic entertainment amenities and modern fitness facilities, indulge in the feeling of an all-inclusive resort where the vacation never ends. Visit the Tridel Store at Front and John Street for the full experience of our luxurious model suites. 300 Front Street Is Now Sold Out.